When you walk into Terry Slonaker’s studio it is immediately evident that this is where the magic happens. As I took the tour with Terry as my guide, I began to piece together the picture of an artist who has had a love affair with art his entire life. 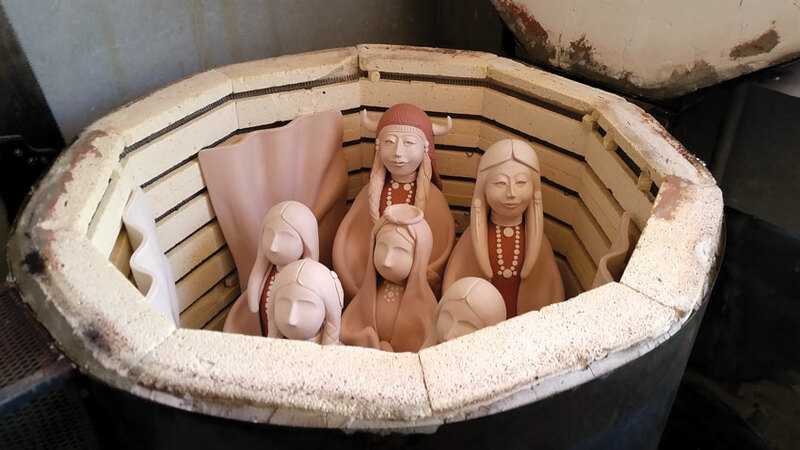 There on tables were lovely sculptures in progress and peeking out of the kiln was a family of exquisite figures just waiting to become masterpieces. As we continue through the studio I noticed some paintings on the walls along with metal sculptures and a more primitive version of the clay figures he creates now. I asked him where this artistic bent of his started and he told me that as a young man he was always drawn to creating. His parents and teachers recognized his gifts and encouraged him throughout his youth. 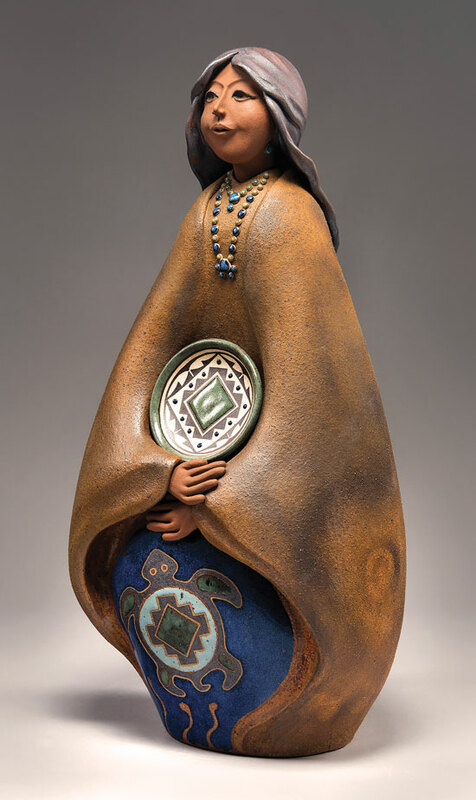 Terry lived in Ohio at the time and persued his passions in high school creating his metal sculptures and continued to study with local artists and sculptors at the Art Institute of Pittsburgh, graduating at the top of his class. Lucky for Tucson, Terry moved to Arizona. He took a job as a graphic artist for the local newspaper and began a series of Southwest landscapes in oil and watercolor. Still passionate about sculpting he took some classes back in the “80’s” at the Pot Shop at Reid Park and studied under his mentor Mike Krapeck. As his skills increased so did his determination and he rented a corner of the Pot Shop and never looked back. 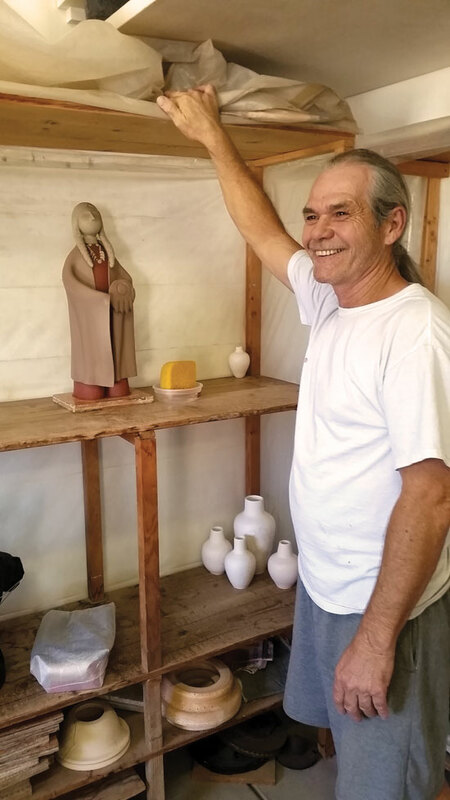 Terry was still looking to sell his paintings in a local gallery but when the owner saw his pottery he was off and running! The gallery sold all his work in two weeks and was looking for more. That was one of those turning points that so many artists wish for and never get, but Terry took full advantage and worked hard and diligently. He admits to being somewhat of a perfectionist “I have to stop myself” he says in regard to his sculpting. There is no doubt that Terry has evolved over the years in his craft and has mastered the medium of clay. At the wise age of twelve Terry Slonaker knew that he did not want to wait until he was old to do what he loved. I posed the question, will you ever retire? His response was “I am retired!” with a chuckle. 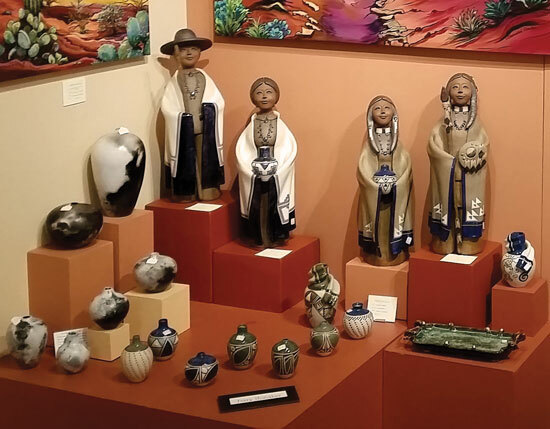 Terry’s work can be found at Desert Artisans’ Gallery, Tucson, AZ. Photos by Alexandria Winslow unless otherwise noted - used with permission.